The new Combat Record has been touted as “an on-the-go solution” but players aren’t happy that it’s not an in-game feature. Treyarch announced the new addition to the Call of Duty mobile app this week, which will now feature “a full suite of Combat Record stats on mobile and web”. The Combat Record will include stats on individual weapons and weapon categories, specialist weapons, equipment and special issue equipment, scorestreaks, maps by mode, and attachments across all weapons. “Providing Combat Record on mobile and web brings the stats that players want to the platform where they will get the most use out of them without taking time away from playing the game, so you can check your stats quickly and easily on your phone, tablet, or PC between matches,” said Treyarch. The solution doesn’t appear to be the same as the one players envisaged, with complaints on Reddit from people who want the Combat Record in-game. Players are asking why Treyarch doesn’t just fix this, rather than making them download the app and take time away from the game to use it. In other Black Ops 4 news, for the duration of April, you can play the new battle royal Blackout mode for free, so get involved if you’ve been on the fence about it. 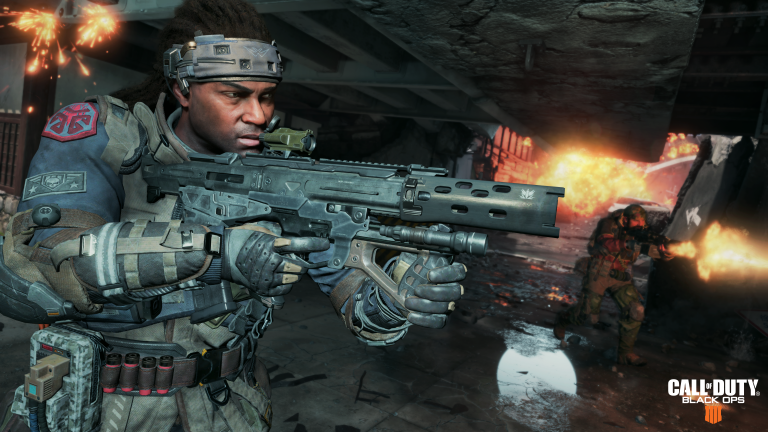 The post Call of Duty: Black Ops 4 mobile companion app update to include combat records appeared first on VG247.